From memory, it was Daniel 11 that may have started me towards my realisation (as I see it) that the wicked king Herod ‘the Great’, at the time of the infancy of Jesus Christ, could be the same as Antiochus IV ‘Epiphanes’, arguably the most evil ruler in the entire Bible. Philip Mauro’s compelling interpretation of Daniel 11 in his book, The Seventy Weeks and the Great Tribulation (1921): https://www.preteristarchive.com/Books/1921_mauro_seventy-weeks.html most likely assisted me in arriving at such a connection, for Mauro – having, like most, assigned vv. 32-35 to the Maccabean era – then convincingly argued for king Herod as “the king” of vv. 36-39. In my revised system, however, there is no need anymore for a rupture between vv. 32-35 and vv. 36-39. The wicked ruler of the Maccabean era is still the same “the king” of vv. 36-39: namely, Antiochus IV-who-is-my-Herod. –that remarkable character who was a usurper upon the throne of David when Christ, the true King, was born. The proof which enables us to identify “the king” of Daniel 11:36-39 with Herod the Great and his dynasty, is so convincing that we feel warranted in saying that the prophecy could not possibly mean anyone else. Mackey’s comment: If one reads 1 and 2 Maccabees, he/she will find various rulers, including Antiochus IV, being designated simply, “the king” (e.g. I Maccabees 6:8). A glance at the context is enough to show that “the king” of v. 36 cannot mean either of the kings of v. 27. Moreover, these are never spoken of as “the king,” but always, both before and after v. 36, as “the king of the north,” or “the king of the south,” as the case may be. Nor does the Scripture speak of any “king” who is to arise at the time of the end of this present age, and who answers at all to the description of the prophecy. The “man of sin,” described in (#2Th 2:3-10), is supposed by some to be “the king” of Daniel 11:36. But he is not called a king, nor described as having kingly rank, but rather as one claiming divine worship in the temple of God, and backing up his pretensions by means of miracles and lying wonders. The “king” of Daniel 11:36 is a very different personage, and achieves his ends in a very different way, as will be clearly seen by all who diligently compare the two passages. What has caused able commentators to go astray at this point, and in some instances to seek far afield for the interpretation of this passage, is the fact that they were unable to find anyone among the successors of Antiochus who answers at all to the description of “the king.” But they have overlooked two things which, had they heeded them, would have kept them from being so misled. Those things are, first, that the prophecy has not for its subject the kingdoms of Syria or Egypt, but the people of Israel, and hence the expression, “the king,” without other qualification, would mean one who was king over Daniel’s people; and second, that the verses immediately preceding (31-35) relate wholly to the affairs of the Jews under the Asmonean princes, and hence the terms of the prophecy itself lead us to look at this point for the beginning of a new order of things in Israel. And that is just what history certifies to us; for, precisely at this juncture of affairs, the Asmonean dynasty was brought to an end by violence and bloodshed, and it was replaced by that of a “king,” who answers perfectly to the description of the last part of the prophecy. Moreover, and to this we would specially invite attention, it is said of this king that “he shall prosper until the indignation be accomplished” (or until wrath be completed), in fulfilment of which is the fact that the dynasty of Herod retained, through all the political upheavals of the times, its favour with Rome, and flourished in authority in Palestine, until the destruction of Jerusalem, which is the “wrath,” or “indignation,” or “tribulation,” to which these prophecies of Daniel so frequently refer as “the end” of Jewish nationality. For it was “Herod the king” who sought to compass the death of Christ soon after His birth, and whose successors of his own family put to death John the Baptist (this was done by Herod Antipas) and James the brother of John (by Herod Agrippa I, who also imprisoned Peter, intending to deliver him to the Jews) and finally sent Paul in chains to Rome (which was done by Herod Agrippa II, the last of the dynasty, the man who is best known to the world as he who was “almost persuaded”). So, to begin with, we have in each case a most evil – yet highly cunning and successful – king. We have also a universal decree issued by a king/emperor that was binding on all of the ruler’s subjects (cf. I Maccabees 1:41 and Luke 2:1). I am not necessarily saying that this was the one and same decree. used as a providential connecting link (with both Daniel 2 and 1 and 2 Maccabees) the crucial information supplied by Gamaliel in Acts 5:37 about “Judas the Galilean … in the days of the census”, thereby connecting Judas and his mentor, Matthias, with the Maccabean pairing of Judas and Mattathias (quoted at the beginning of this article) – thereby giving a census to Maccabean times. Now, the move at the time of Antiochus IV ‘Epiphanes’ of Mattathias, with his family, “from Jerusalem and settled in Modein” (I Maccabees 2:1), I connected with the Gospel situation in Luke 2:3: “And everyone went to their own town to register”. For, as we shall learn at the time of the death of Jonathan, Modein was the Maccabees’ ancestral town (I Maccabees 13:25). I also hypothesised that Modein, which so far has not been unequivocally identified, was the Sepphoris in Galilee to where Judas the Galilean is said to have removed himself. The Holy Family, also living in Galilee, went on this occasion in a different direction (Luke 2:4-5): “So Joseph also went up from the town of Nazareth in Galilee to Judea, to Bethlehem the town of David, because he belonged to the house and line of David. He went there to register with Mary, who was pledged to be married to him and was expecting a child”. It was also a time of angelic visitations and preternatural activity. About this time Antiochus the Fourth made a second attack against Egypt. For nearly forty days people all over Jerusalem saw visions of cavalry troops in gold armor charging across the sky. The riders were armed with spears and their swords were drawn. They were lined up in battle against one another, attacking and counterattacking. Shields were clashing, there was a rain of spears, and arrows flew through the air. All the different kinds of armor and the gold bridles on the horses flashed in the sunlight. Everyone in the city prayed that these visions might be a good sign. And there were shepherds living out in the fields nearby, keeping watch over their flocks at night. An angel of the Lord appeared to them, and the glory of the Lord shone around them, and they were terrified. But the angel said to them, ‘Do not be afraid. I bring you good news that will cause great joy for all the people. Today in the town of David a Savior has been born to you; he is the Messiah, the Lord. This will be a sign to you: You will find a baby wrapped in cloths and lying in a manger’. and on earth peace to those on whom his favor rests’. When the angels had left them and gone into heaven, the shepherds said to one another, ‘Let’s go to Bethlehem and see this thing that has happened, which the Lord has told us about’. 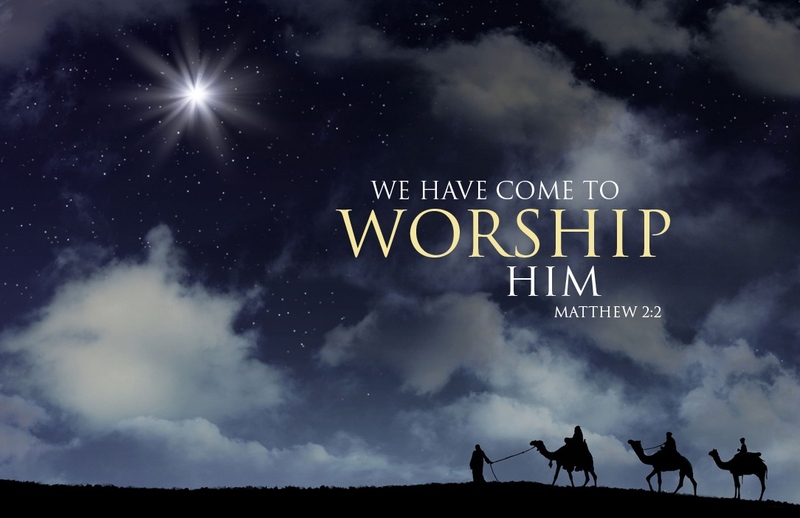 Not long afterwards there occurred the visit of the Magi as recorded in Matthew 2. In my article “A glimpse of the Magi in Daniel 11:44?” (above) I have suggested, following the view of others, that this was foretold, in an Antiochus-Herod context, in Daniel 11:44. Herod reacted most violently to the Magian mention of an alternative “king of the Jews” (Matthew 2:2). Thus we read in v. 16: “When Herod realized that he had been outwitted by the Magi, he was furious, and he gave orders to kill all the boys in Bethlehem and its vicinity who were two years old and under, in accordance with the time he had learned from the Magi”. Today we refer to this sad incident as ‘The Slaughter of the Innocents’. There are various references in 1 and 2 Maccabees to king Antiochus’s slaughtering of innocent babies, including the one from Mattathias above. Both Luke 2:18 and 1 and 2 Maccabees break into laments about such catastrophes for Israel. When [the Magi] had gone, an angel of the Lord appeared to Joseph in a dream. ‘Get up’, he said, ‘take the child and his mother and escape to Egypt. Stay there until I tell you, for Herod is going to search for the child to kill him’. so (2 Maccabees 9:29): “One of [the deceased Antiochus IV’s] close friends, Philip, took his body home; but, because he was afraid of Antiochus’ son, he went on to King Ptolemy Philometor of Egypt”. ← A glimpse of the Magi in Daniel 11:44?